Several years ago, future hall of fame baseball player Ichiro Suzuki featured in a commercial. The tagline was “hit ’em where they ain’t!” In the investing world, the message could be reinterpreted as don’t bet with the crowd. Although it sounds cute, I wouldn’t apply this advice to Amazon.com, Inc. (NASDAQ:AMZN). AMZN stock is simply too good for trite aphorisms. From the very beginning, naysayers have criticized CEO Jeff Bezos at every turn. Early on, the company couldn’t turn a profit because it kept investing aggressively for tomorrow. Now that tomorrow is finally here, the argument is that the AMZN stock price is no longer sustainable. Yet despite reaching an astonishing four digits, traders were generally unperturbed. Currently, shares trade hands at over $1,210. This means that AMZN is 21% above its $1,000 milestone, a psychological level that usually implies bearish price action. Of course, that hasn’t happened yet. Also, year-to-date, Amazon stock has gained nearly 57%. 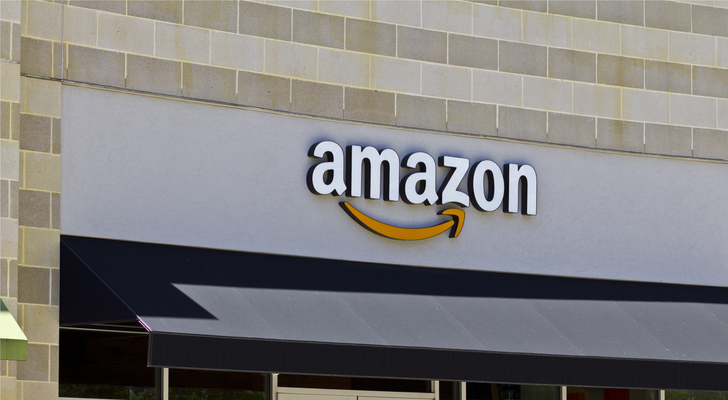 The e-commerce giant leads tech rivals Facebook, Inc. (NASDAQ:FB) and Netflix, Inc. (NASDAQ:NFLX), and comfortably so against Alphabet Inc (NASDAQ:GOOG, NASDAQ:GOOGL). Not too many bearish articles on AMZN stock have been published recently, and for good reason. Amazon has proven its dominance at every retail angle. Seemingly, it’s entered into the grocery sector just because it can. The one contrarian argument, that traders would seek better deals in the markets, hasn’t panned out well. The better deal, as it turned out, is Amazon stock. Unfortunately for the contrarians, the most obvious answer was the correct one. Is Amazon Stock Losing Its Touch? Given the dearth of bearish arguments against AMZN stock (please see our own Jessica Loder’s article for reference), I’m always intrigued when one eventually shows up. InvestorPlace contributor Will Healy stepped up to this unenviable task, but admittedly, he raises strong points. Citing the massive ascent of Wal-Mart Stores Inc (NYSE:WMT), and eventual spiral into negative public opinion, Healy worries that AMZN is falling into the same trap. For instance, to support Wal-Mart’s continued rise in the markets, management cut corners. Such a “growth at any cost” mentality resulted in poor working conditions, which the media criticized. But from an investment perspective, I don’t mind the comparison to Wal-Mart. Yes, both companies have attracted their fair share of criticism, and many of the criticisms are valid. At the same time, I think they’re sour grapes from jealous competitors. Furthermore, the AMZN stock price is in the stratosphere for a reason. It’s impossible to find such a dominant company like Amazon and buy its stock for a song and a dance. Its supremacy is unquestioned. What is in question is how much more superior it can be. I believe this point is what trips up many bears. Amazon stock trades at a premium relative to earnings because it’s virtually guaranteed to deliver positive results. The reason investors continue to acquire AMZN shares at these lofty premiums is that they believe the company has more left in the tank. Judging from all the evidence, I have no reason to doubt the optimists. Set aside all the disruption that Amazon caused in the broader retail sector. What you are left with is an organization that has an unassailable advantage in e-commerce. If you are even semi-conscious, you know full well that online retail is the future. As far as its failures go, that’s just the nature of the beast. Like Healy referenced, Amazon forayed into multiple industries, many of which are unrelated to e-commerce. Admittedly, these journeys are hit-or-miss affairs. Will this negatively impact the AMZN stock price? I highly doubt it. Again, if you took away the extracurricular activities, you’re still left with a behemoth company. Furthermore, it has the resources to get away with eating a few bad apples. At its core, Amazon is a brilliant company striving for more. This is exactly what you want to see as a shareholder. Article printed from InvestorPlace Media, https://investorplace.com/2018/01/despite-soaring-to-record-highs-you-can-trust-amazon-stock/.